Cebisile Happiness Khoza had travelled from her hometown of Msinga to Greytown 3kms away where she was getting ready for a ceremony where she was to receive her postgraduate certificate in education, reported the Sunday Times. However, she disappeared and her burnt body was found soon later in a sugarcane field by farmworkers. She had also been stabbed several times. The incident occurred earlier this month. Khoza had begun writing her mother’s cellphone number in the dust when she died, the newspaper reported. According to her boyfriend, he had dropped her off at the salon and waited for her to let him know when to fetch her. When he did not hear from her, he went back to the salon but it was already closed and Khoza was nowhere to be found. Noah had not yet been informed of the tragedy as he was travelling overseas and could not be reached. It is not the first time such sadness has hit the family. In 2009, Noah’s stepfather shot his mother three times in a violent rage. According to the Daily Mail, Noah’s mother, Patricia, long suffered abuse at the hands of her now ex-husband. Patricia told the UK publication that she was “shot in the face and back. The bullets went through the nose and passed my jugular and one narrowly missed my spine”. She said she was lucky to be alive. Noah’s grandmother, Nomalizo Noah, said the incidents made her feel that the women in her family were “cursed”. 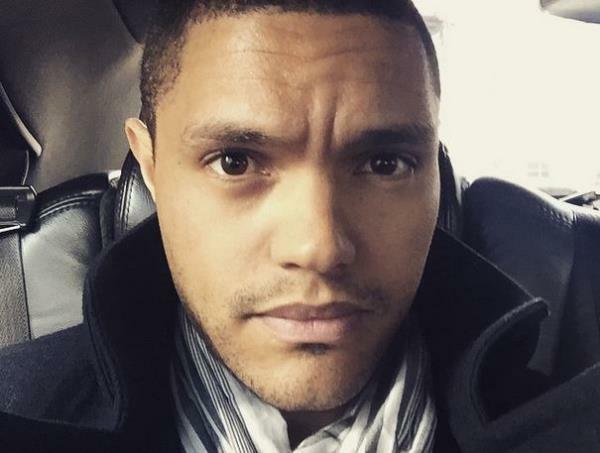 The latest incident with Noah’s cousin comes just months after he landed the job as the new host of Comedy Central’s The Daily Show, a huge coup for the Soweto-born comedian. Since the announcement, Noah has been seen hobnobbing with US comedy stars Jerry Seinfeld and Larry David and rubbed shoulders with other celebrities at the exclusive Met Gala earlier this month, reported Channel24.